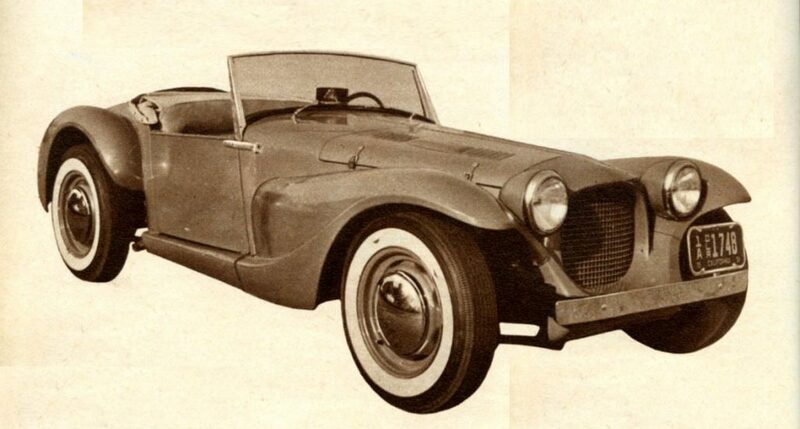 Bill Tritt Designed One Fine Little Sports Car – Shown Here In Its Debut In The February 1955 Issue of Motor Trend. 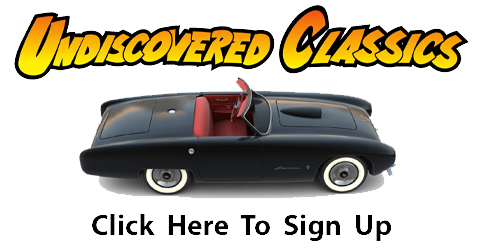 The more you study the fiberglass sports car history of the 1950’s, the more you end up studying design. 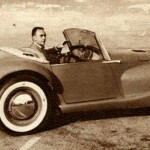 “Ground zero” for the fiberglass sports car industry was California, and in fact for a short time in the early 1950’s, Costa Mesa where Bill Tritt of Glasspar was located was known as “Little Detroit”. I’ll feature articles soon focusing on this aspect of the fiberglass industry back then. Very exciting times. But let’s talk about design. Fiberglass allowed an individual who was competent, industrious and talented to study, learn, and execute their penned designs into reality. Yes…it was incredibly hard work – dusty, itchy, messy, and sticky in every way. 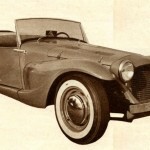 But without fiberglass, the chance of learning the “metal shaping trade” and creating a buck and shaping metal to form a design – and then welding it together – was a reality that would not take hold. So….fiberglass was the “catalyst” (you might say…) to making designers’ dreams come true. And once it was known that you could build your own designs, the world of design and execution took a giant leap forward. From imagination to reality. Mel Keys: Designer and Builder Extraordinaire. I’ve been introducing you to many of the folks I’ve been honored to meet and become friends with these past few years. Mel Keys is one of these gentlemen. I’ve written about Mel before and tracked him down to learn more about the Victress years as I could. Mel worked for/with Victress for a few years, was an Art Center student of design in the mid to late 1950’s, and was part of the team that, in the 1960’s, built the scale model of the Starship Enterprise for the up and coming new TV series “Star Trek”. 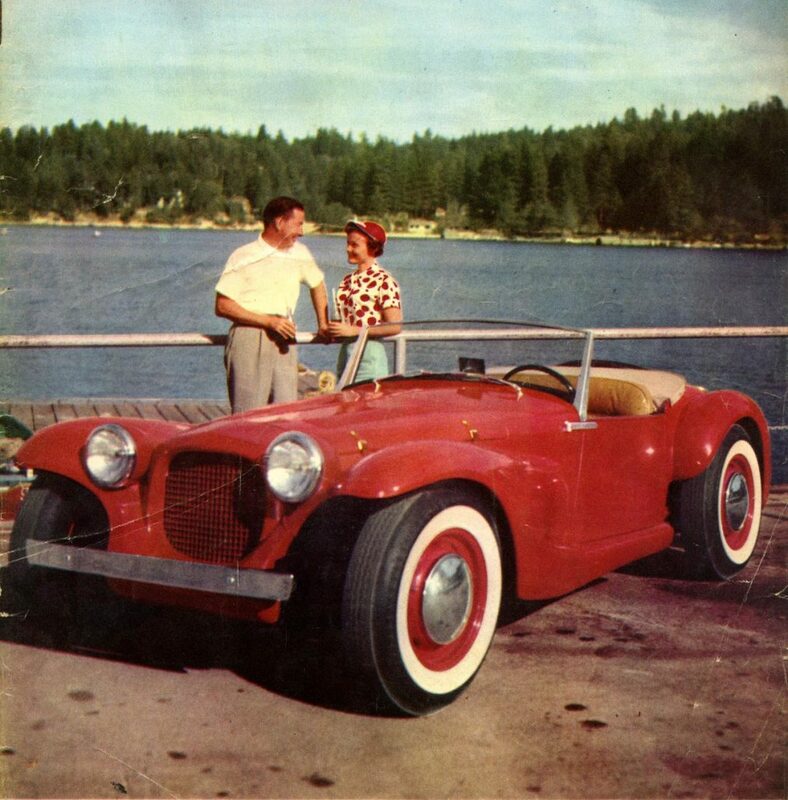 This Is A Front Cover Shot of the Ascot Which Appeared in June/July of 1955 in “Speed Mechanics” Magazine. Like many “fiberglass men” of the 1950’s, Mel was a designer “first” and a builder “second”. 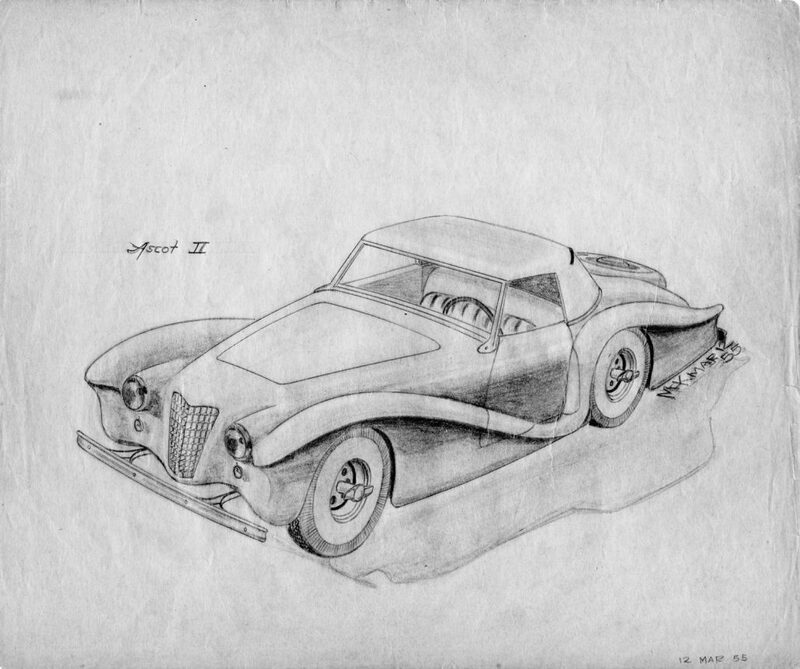 Recently, Mel and his son Steven were kind enough to scan and send me some of the sketches he did in the 1950’s and 1960’s. 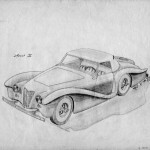 We’ll be featuring some of Mel’s work throughout this year, and I thought it would be fun to first showcase two of his drawings from 1955 concerning the Glasspar Ascot. 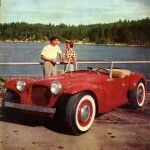 The Ascot debuted in early 1955 (click here to review stories on the Glasspar Ascot) and many people took notice. 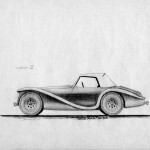 It was a radical departure in design from the sports cars at the time, and Bill Tritt was again the “first” in creating a Neoclassic designed sports cars. “Little Detroit” (Costa Mesa, California) was where it was at gang! 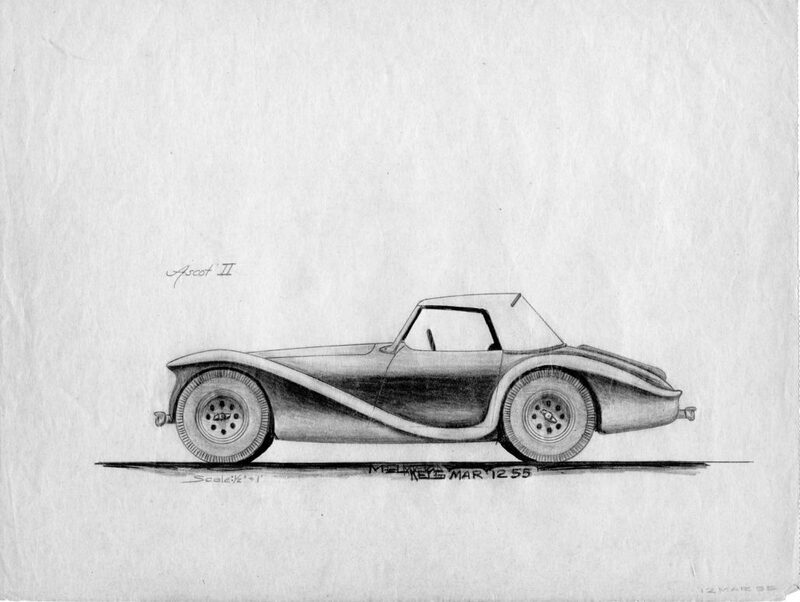 Mel Keys was excited about this design and like many talented young men of the era, he took the design and had some fun with it. 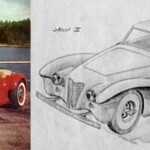 His sketches are dated March, 1955 which was after the debut of the Glasspar Ascot in the 1955 February issue of Motor Trend. Thanks to Mel Keys for sharing his designs with us, and I look forward to sharing more of his design and build work in the near future too. He’s quite a talented guy. Hey I found this reference from Facebook..